What would humanitarian communications look like without HF radio? Humanitarian organisations worldwide are experiencing significantly increased operational demands such as we’ve never seen before. United Nations (UN) appeals for financial aid were over ten times greater last year than they were in 1992, according to the UN Office for the Coordination of Humanitarian Affairs (UNOCHA). With more than US $22 billion sought to help nearly 130 million people most in need worldwide, the scale of the humanitarian crisis is staggering. Humanitarians need the best tools in the field in order to save lives. One such vital requirement is communications equipment – without this, humanitarian groups would be unable to effectively coordinate their efforts. HF radio is one of the most common tools used by charities to stay in touch thanks to its reliability in all weather and environmental conditions – but what would humanitarian communications look like without this equipment? Humanitarian groups need the best field equipment to aid their efforts. How do HF radio experts help support humanitarian groups? Barrett Communications has been aiding humanitarian operators around the world perform their vital day-to-day work for decades. We’ve aided charity work, community projects and emergency respondent groups, trying to connect field operators in areas where no other communications equipment will do the job. In December last year, Barrett’s authorised Chilean dealer, Skytel Telecomunicaciones, advised that the previously-installed Barrett vehicle-integrated HF radio transceivers were part of the national emergency services response to a mudslide disaster. Further HF mobile stations were supplied to aid the humanitarian and medical relief groups. More than US $22 billion was sought by UNOCHA in 2017 in order to help nearly 130 million people most in need. October 2017 saw first respondents and medical teams travel to the Dominican community post-Hurricane Maria in order to return communications to the town. The Rainbow Radio League, of the neighbouring St Vincent and the Grenadines islands, carried Barrett 2090 HF manpack transceivers and a Barrett tactical broadband antenna, which were connected to existing HF transceivers, in lieu of the compromised communications infrastructure, such as phone lines. This helped local construction and response groups to organise recovery efforts. Barrett Communications was also able to supply the 2050 HF radio transceivers and the 2020 data, email and fax system for the National Adaptation Program. This program is designed to improve the communications ability of charity and medical groups on the island in responding to natural disaster damage by supplying them with reliable emergency communications equipment. Barrett were instrumental in supplying radio equipment for emergency responses. As you can see, communications is a vital part of performing humanitarian projects. What’s also clear is that charity and emergency response work often takes individuals to areas where conventional communication infrastructure is impractical due to remoteness or compromised by damage. Here, the reliability and high-quality communications offered through HF radio equipment is indispensable. But let’s for a moment presume HF radio equipment didn’t exist. 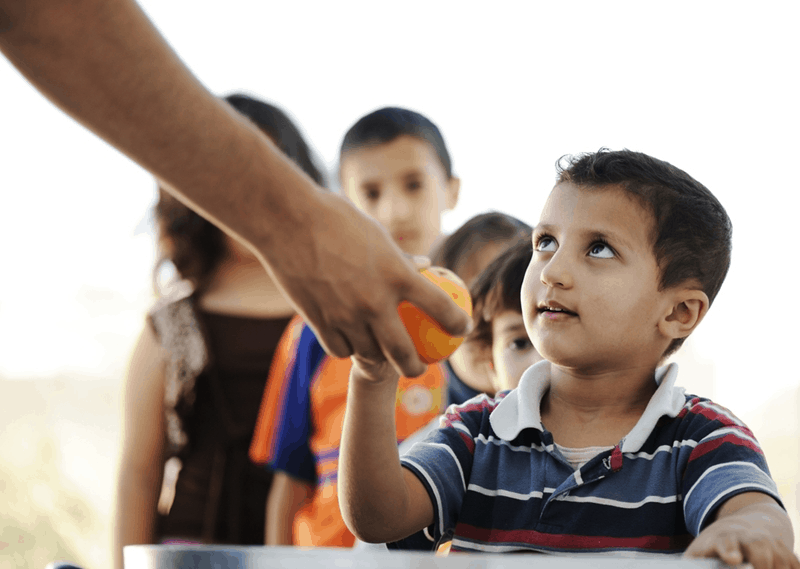 How would humanitarian groups function? • Trying to re-establish communications between remote communities and the wider world, or contact other field operators when the phone line and internet broadband isn’t available would be far more challenging. • Even if this were possible, it’s highly likely that the limited communication fields would mean that any audio quality is greatly compromised. When sharing details such as location or travel distances, garbled communication can be potentially fatal for humanitarian operators and locals alike. • HF radio has stood the test of time as a communications tool for so long because it’s reliability doesn’t come at tremendous cost. Establishing a HF radio network can be cheaper and more dependable than alternatives such as satellite phones. 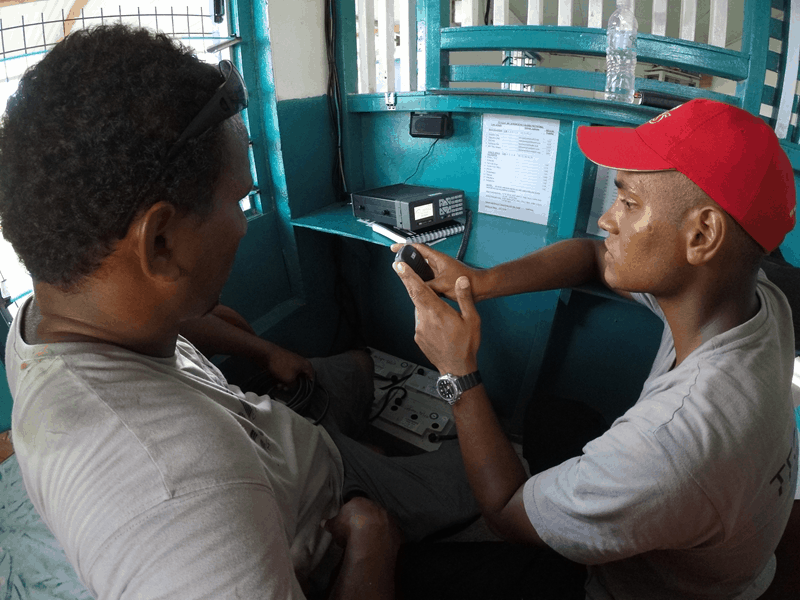 Thankfully we don’t live in a world without HF radio, and humanitarian groups can continue to use this amazing communication tool to assist their field communications for years to come. For more information about deploying a HF radio system that will work for your organisation, contact the Barrett team today.